For 60 years now, LORCH have been manufacturing high-end welding machines satisfying the highest standards in Auenwald near Stuttgart. From small, highly portable electrode welding units to fully automated welding solutions for continuous use in industry: Lorch’s portfolio has the ideal welding solution for any challenge welders may have to face. That’s the LORCH promise. 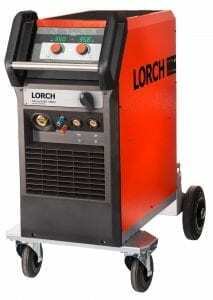 If you are interested in any of the LORCH equipment range please don’t hesitate to contact us. Our team of engineers will be only too happy to talk through your requirements and find the equipment thats right for your application.